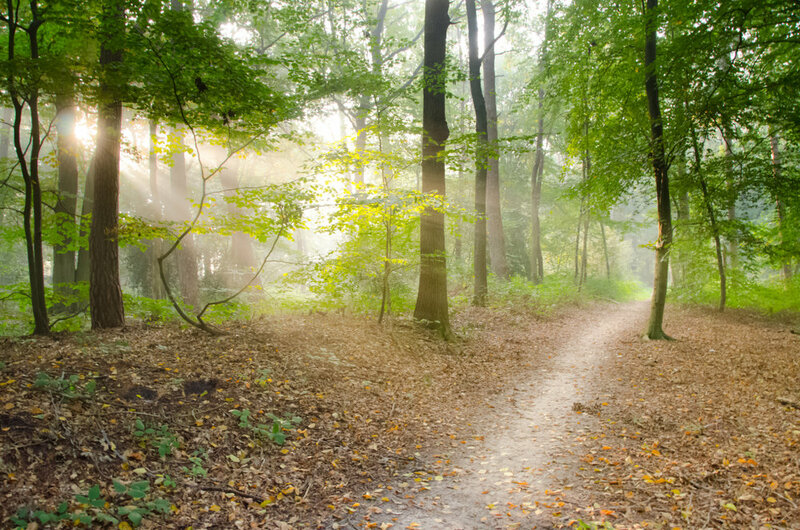 Trusting the Invisible Path of Soul — Dr. BethAnne K.W. External validations are few; challenges plenty; self-doubt proliferate; discouragement inevitable. It’s difficult to keep showing up for yourself and believing relentlessly in the vision you’ve been given to create for your life, when nobody else sees it. And yet you are the only one who can actualize that vision, stick to your heart path, and have faith in your own sense of purpose. I skipped posting my weekly channeling last week, because I was in a discouraged space. It’s difficult to share spiritual experiences, and sometimes I feel I am just shouting into the void and nobody is listening. An electric chord flying in the breeze looking for the right places to plug in, not quite finding them, trying to create them myself. What do we do with experiences that don’t fall into the bounds of consensual reality? What do we do when our lives take twists and turns that make us feel we are outliers and fringe walkers and those at the edges pushing the bounds? These kinds of paths are lonely paths, because they force us to wander outside the limits of “reality,” and the further we go, the less people we find. I showed up in Kauai knowing I was being called to courage. Knowing I was going to have to start writing about all the extrasensory things that show up in my life. Knowing people may laugh at me or discredit me or think me as loony as Luna Lovegood. Yet when I expressed these very fears during a time with spirit the other day I was clearly told: But my dear, you are focusing on the people who won’t believe you. Now think about the ones that will, think about the ones these words will help. And so I try and draw courage from that space, as I think about how many of us feel like lost plugs flying around in the breeze trying to find places we fit. And how many of us are having encounters with new energies and rumblings in our soul and want to expand beyond the bounds of normal and find the courage to blaze new trails and challenge our own status quo. I left my status quo back in Anchorage to find a new trail, and in answering that calling within myself, I am finding that spirit has answered back and is showing up in new ways. The last month and a half has been an extreme growth period. I see worlds overlapping, it’s dizzying at times. Angels cluster in corners; fairies fly in the flowers; the wind speaks; the ocean sings; the grass inhales and exhales, and I wonder if anyone else is out there seeing the earth breathe. People have energy flying around them- rainbows of light that collage and attract and repel and contract. The spirits of the island boomed in last’s night’s rain and thunder, and I woke in shivers of holy with their names on my tongue. Some days, I feel like a violin string being played so hard my own vibrations are about to make me snap. I ground and regroup and come back to just myself with home and dogs and husband and netflix and snacks and laughter and sleep and exercise; safe spaces that help me return to just me and close my mind off to anything else. I keep one foot in this reality, the other foot in the other worlds, and I keep trying to find balance and build a bridge between, to share the messages I am receiving. After last week’s discouragement, I will simply say this week- I am still here. I believe in this path. I believe in myself. And I believe in you who read these words and relate in some way, whatever your experience of soul may be. We are not alone in this, and though we can’t “see” the path for one another, we can keep showing up for ourselves and believing in whatever truths have been placed in our heart, then moving in the directions we feel called to move. Shining our heart lights, heeding our soul calls, finding encouragement together along the way.